Nicolay Worren is an associate professor in the School of Economics and Business at the Norwegian University of Life Sciences. He entered academia in 2015 after 18 years in management consulting. 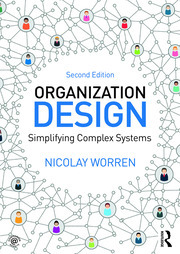 He has published several journal articles on organization design and related topics. Nicolay Worren is an associate professor at the School of Business and Economics at the Norwegian University of Life Sciences. He received a master’s degree in psychology from McGill University and a doctorate in management studies from the Oxford University. He was a management consultant before he became a business school professor, working for Accenture, PA Consulting, and Deloitte. He was also an internal consultant with oil services firm Aker Solutions for three years.